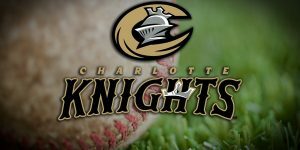 The Charlotte Knights opening game is tonight! So, what do baseball and oral cancer awareness month have in common?… Between 1920 and 1940, when baseball was America’s most popular sport, every team had a tobacco sponsor. Tobacco use accounts for most oral cancers. Smoking cigarettes, cigars, or pipes, using chewing tobacco, and dipping snuff are all linked to oral cancer. The use of other tobacco products such as e-cigs and vaping may also increase the risk of oral cancer. Heavy smokers who use tobacco for a long time are most at risk. Today, it is a common perception that many baseball players use tobacco. However, according to the MLB, this practice is changing and declining mainly due to the ban placed on smokeless tobacco in 2016 on all major league players. Not only have the players been banned from using tobacco, but several of the MLB stadiums have “Knocked tobacco out of the park”*. **Many athletes have become spokespersons for anti-tobacco and tobacco prevention efforts. Early in the 20th century Hall of Famer baseball player, Honus Wagner would not allow a cigarette company to use his picture on a tobacco trading card. Since then famous athletes like skateboarder Tony Hawk and baseball player Sammy Sosa have supported tobacco prevention. 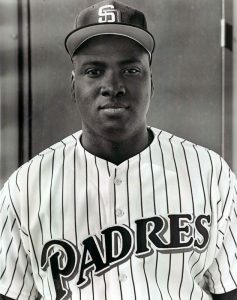 *In 2014, Hall of Famer Tony Gwynn died at age 54 from salivary gland cancer. Shortly after, pitching great Curt Schilling went public about his treatment for oral cancer. Both players attributed their health battles to their longtime use of smokeless tobacco. Their experiences generated widespread media coverage and call to take tobacco out of baseball.